thank you very much. Good bye. These guys got their start online with timanderic.com and were really pioneers of web comedy, making short films and hilarious videos well before the YouTube age. 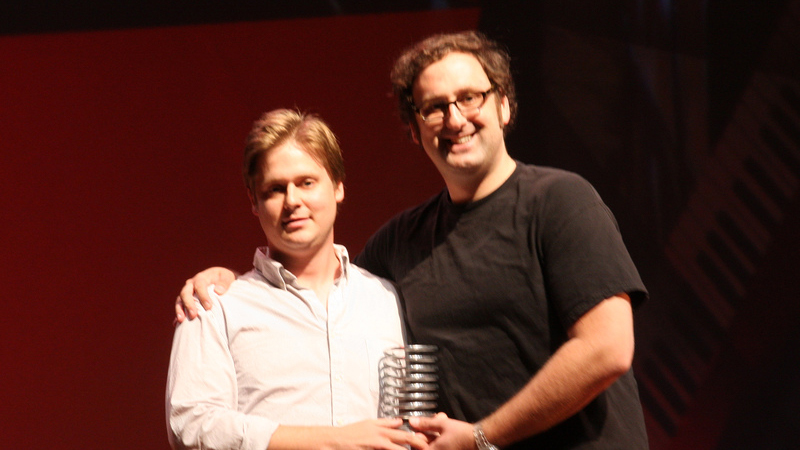 They were discovered by Bob Odenkirk a few years ago and have since inked a deal with Adult Swim on the Cartoon Network, first for an animated series called “Tom Goes to the Mayor,” and then a live-action show called “Tim and Eric Awesome Show Great Job!” They continue to do online shorts and are really big on Superdeluxe.com. They have a RABID fan base and regularly sell out their live shows across the nation.